Oh, and your shtick is tired. Very tired.Reply SCREAMIN A SMIFF (April 17th, 2009 at 3:00 pm) QUITE FRANKLY WELL ALL BE GLAD WHEN WE DONT HAVE TO MUTE THE TELEVISION JUST TO KEEP OUR EARDRUMS INTACT THROUGH ANOTHER ONE OF YOUR 150-DECIBEL SHOUTFESTS THAT INEVITABLY DEVOLVE INTO SOMEONE HOLDING THE BLACK MAN DOWNReply Margaret (April 17th, 2009 at 3:17 pm) Stephen A!Well miss watching you square off against Skip.Were a television production company that just finished filming a reality showwith Chris Cooley. If you ever want to collaborate give us a shout.Good luck with everything!Reply MitchT707 (April 17th, 2009 at 3:47 pm) Good Luck !! I enjoy following your career, whether its Fox, ESPN or elsewhere. I especially like the battles with Skip Bayless, who seems to have taken on a Lil of your SWAG !! and its working for him. 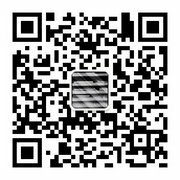 We will be following and we will tell our readers at HeyKobe.com to do the same ! !